No need to ask. Take the money when you need it. Even the most conscientious savers sometimes find themselves a bit short. That's when a line of credit from our credit union can be a lifesaver. 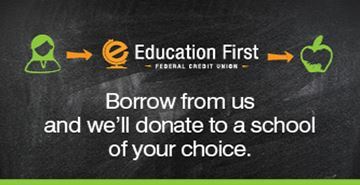 It's an easy-to-access cash reserve that's perfect for periodic tuition payments, ongoing home renovations, unexpected car repairs or unbudgeted holiday expenses to relieve financial pressure. Best of all, you just have to fill out the application once. After that, you can take out money anytime you want. A credit line that's gentle on your family's bottom line. Often, when consumers encounter unexpected expenses, they turn to their high-interest credit cards. A line of credit is a better financial bet. Not only is the rate lower, but you pay interest only on the amount you've actually spent. Contact us today for more information or apply online!